to accelerate your business growth? Would It Hurt To Have A Predictable Outcome? Often the underlying problem is not properly identified, so the solution does not get the desired outcome. Perhaps you’ve experienced this as many have. As you’ll read in the Endorsement and Testimonial section lower down the page, Steven has an uncanny ability to properly identify the problem. This enables him (and you) to be purposeful while optimizing your desired solution and outcome. Would it be impossible to exceed your business goals? How you market yourself, your products and your business is a key factor in your success. Steven has generated millions of opt-ins from marketing systems he’s built that resulted in untold millions in business. He knows how to communicate to an audience to capture people’s interest. 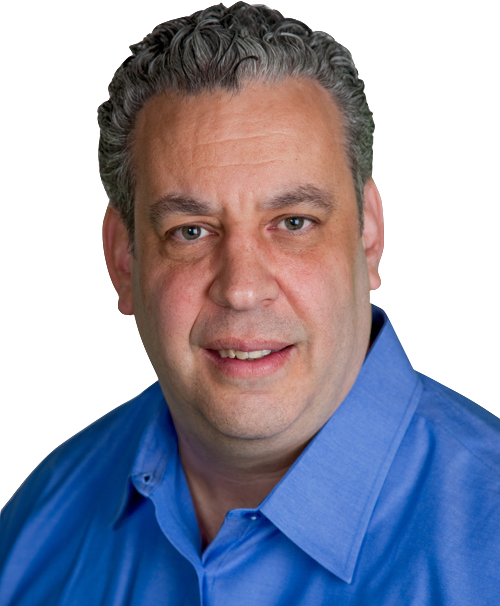 Steven is an absolute expert in creating compensation plans for the direct sales industry. Because of Steven’s acumen for logic, reasoning and math he is able to translate that into comp plans that create a culture and drive affiliate behavior. For 15 years he has worked with direct sales Attorney’s to ensure his plans are regulatory compliant. For Real Estate investors with short or long term financing needs from 250,000.00 to 5,000,000.00 Steven has the access to the capital you seek. He is not a loan broker but because of his personal contacts you can get fast funding with competitive terms to secure your transaction. Steven has experience brokering residential income and office properties so he is very adapt to knowing investor needs. You can’t see the forest through the trees. Often we are so close to a problem we don’t see the pathway to the solution. Steven’s friends joke before Google there was AskSteven. Steven has an innate ability to understand complex issues and identify simple yet meaningful strategies to reach the desired outcome. Steven has developed a significant Rolodex of difference makers across a wide berth of industries. Who do you need an introduction to in order to boost your business? If Steven does not have the contact you need more than likely someone in his network does. When you read through the testimonials from prominent business people, NY Times best selling authors and leading entrepreneurs you’ll wonder why you are just hearing about Steven. Alex Mandossian once called Steven a leader from behind but now he’s decided to put himself out in the forefront. Steven acts as an advisor and consultant to entrepreneurs and companies that seek solutions to unsolved problems. Contact Steven to see how he can assist in moving your business forward. When I was promoting my first best seller The Mirror Test Steven immediately jumped in to help me promote the book. Though I may have bribed him with a steak dinner Steven’s actions came with no strings attached. I know I can count on him now and in the future to take devise and meaningful action. Steven Seppinni is a man on the move. Always moving forward. Moving businesses up. Moving the world to a better place. If you are in need of movement towards your goals or objectives work with Steven Seppinni. Steven Seppinni is knowledgeable, approachable and an outstanding resource for business across so many platforms. I love that he knows how to listen but when he does speak, he can help grow your business, connect you to all the right people and solve problems by thinking outside the box! Steven has an inherent gift of genius when it comes to inspiring others to greatness, including myself. I have relied on Steven’s insights to help guide many of my entrepreneurial endeavors. I fully support and endorse Steven to everyone, everywhere. Steven not only helped me become a NY Times best selling author he has assisted me in building my brand and name recognition so that I’m now a guest expert for both Fox and CNN. Steven’s always there to support me in my endeavors and I’m forever grateful. NY Times best selling author and wealth expert. The more I get to know Steven The more I admire his abilities to mass market like a Master Captain navigates the seas. While winds and currents constantly shift Steven adapts in an uncanny fashion as if it were just second nature. Infomercial legend, AsSeenOnTV.com owner & former Star of Shark Tank. When I reached out for advice on a thorny challenge I was facing, Steven stepped up and gave me exactly the advice I needed. Thanks, Steven. Steven is a Maverick business builder with a win/win attitude. He has the unique ability to spot the opportunity within the opportunity and create game changing strategies for companies and the people he works with. Steven Seppinni’s mistakes are more important than the certitudes of his partners. He’s the biggest thinker I’ve ever met and when you’re done discussing a launch or new campaign with him, what you felt was impossible is now astonishingly doable. Steven’s clear and candid communication style works really well especially during times of crisis. I trust him implicitly in personal and professional dealing and I’ll call him my friend for as long as I’m breathing. Being the Co-Founder of SANG, a premier thought leader conference, I collaborate with, and have access to world-renowned leaders, marketers, NY Times best selling authors and visionaries. I have depended on Steven’s insights on a multitude of projects to help develop winning marketing and business strategies. Given the depth of my Rolodex this speaks volumes about Steven’s outstanding abilities. Steven is the type of person you rarely find-the outsider looking in. If Plan A does not work then there is a Plan B then Plan C. Suddenly you wake up to a plan that actually works in the real world. Steven does not give up and stays by your side until you get what you bargained for. Could you ask for any more in today’s world.